Gooses Carpet Cleaning Roseville & Stone Cleaning Roseville is the #1 Tile Cleaning • Commercial Cleaning • Natural Stone Cleaning • Pet Odor Removal in all of Roseville California. #1 Carpet and Stone Cleaning in Roseville CA! Goose's Carpet Care is Roseville California's best option for all your Roseville carpet cleaning and stone cleaning needs. 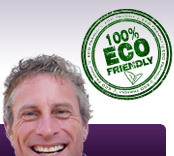 We are a 100% SAFE and EFFECTIVE green NON-RESIDUE carpet cleaning solution. Whether we are cleaning carpets, Tile & Grout cleaning, or restoring your Natural Stone floor, Goose's Carpet and Stone Care will get it done right & looking beautiful! Give us a call on your next carpet or stone cleaning needs! Goose's Stone and Carpet Cleaning supports our Roseville Community, the businesses, and the people. We operate a unique, accomplished, full service carpet, floor and fabric care business serving the Roseville and Sacramento area for over 10 years. Our objective is to provide the value of high-quality service with visibly skillful results performed by clean-cut educated technicians. We use the best cleaning methods available and are committed to exceeding service and we guarantee your satisfaction. You can trust on Goose's Carpet and Stone Cleaning for outstanding results and speedy service for carpet, oriental and area rugs, fabric and leather upholstery, patio furniture cleaning, fiber and fabric protection, tile and grout, natural stone and hardwood floor cleaning, sealing and restoration, on-site drapery cleaning, urine damage treatment, commercial cleaning for large and small businesses, and emergency service. We are not the moderate cleaning company and we try to show why by how well we do our job. We promise you will be 100% happy with the results, just check out our real life testimonials section above to see what our loyal customers are saying about us. We don't make things up or give you false promises like other carpet cleaners in town. We make sure the job is done right, ontime, and within budget. Carpet Cleaning Roseville and Stone cleaning Roseville is what we do and who we are. We have developed our own 8 step carpet cleaning process that really works, just check out our gallery to see for yourself or click the home button on top to see the steps of our process first hand. We stand behind our work ethic and pride ourselves in being Nothern California's go to stone and carpet cleaner. Please look around the site to get a better feel about who we are. Then feel free to give us a call to schedule a free assessment of your house or business in the Roseville area and see firsthand what makes Goose's Carpet and Stone Care Roseville's official carpet cleaner!